The Big Ring Pull was a recruitment event encouraging the public to take up the art and skill of bell ringing whilst raising the awareness of this sociable, fun and enjoyable English tradition! The Big Ring Pull recruitment project has now finished. See the news tab for details of the course and the outcome. If you have missed the course and would like to learn to ring or you would just like more information then please contact us via the Contact Us tab. 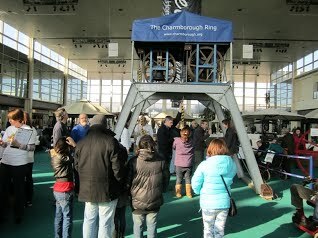 The Charmborough Ring at the Middleton Hall event.